ATLANTA – U.S. Senator Johnny Isakson, R-Ga., today announced that he will tour and meet with senior officials at Robins Air Force Base in Warner Robins, Ga., on Thursday, September 3, 2015. His visit is part of a tour of four Georgia military bases over two days. 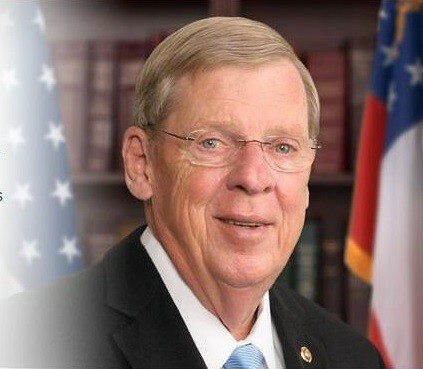 Isakson’s visit to Robins Air Force Base will include a briefing from Base Command, the JSTARS Wing and a briefing and lunch with 21st Century Partnership and Robins Command Team. Isakson will be joined by U.S. Reps. Tom Graves, R-Ga., and Austin Scott, R-Ga., during his visit to Robins Air Force Base. The media will be invited to meet with Isakson and the delegation at press briefings at each of the base tours. Media must RSVP to Amanda_Maddox@isakson.senate.gov no later than Wednesday, Sept. 2, 2015.